Toronto's Annex Community: Be at the centre of it all! 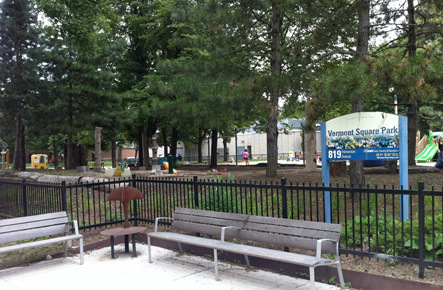 Search Seaton Toronto's Annex Community Ready to Buy? Ready to Sell? In the Annex, streetscapes dance with hardwood trees, and Victorian mansions pepper the landscape. But this vibrant section of Midtown has retail and cultural activity that runs through the evening. Coffee shops, retail, live performance venues and cultural centres line the main streets leaving quiet nooks throughout the neighbourhood. Annex is Toronto's Community for the Famous: Galen Weston, John Ralston Saul, former Governor General Adrienne Clarkson, author Margaret Laurence, and members of the band Sloan. 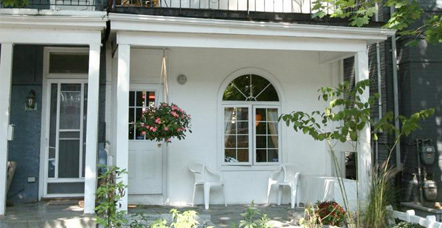 The Annex is one of Toronto's easiest areas to get in or out of – without driving. No less than 4 subway stations take you on either the east-west or north-south subway lines. The pulsing heart of Toronto was at one point slated to be broken up into pieces by the proposed Spadina freeway, which was cancelled in ‘71 thanks to prominent Annex residents. Looking to buy a Annex Home For Sale? 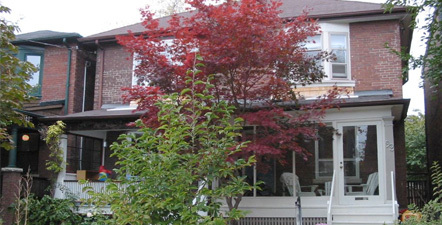 Most ‘West Annex’ properties consist of Victorian style single-family home fit for your family. Would you like to sell your Annex Home? Freeman knows how to market your property, finding you the right buyer. Feel free to search our Toronto MLS® System where you can find properties for sale in the Greater Toronto area. ‘West Annex’ offers its residents the best of both worlds! The Bloor Street shopping district is filled with trendy cafes, nightclubs, and restaurants- which add flair to Annex and attract visitors from all over Toronto. For quieter, family atmosphere, visitors head to Bathrust Street. Filled with small cafes and professional businesses, Bathrust Street mirrors Annex’s residential and family-centric tone. Also found in this highly sought after community is Freeman Real Estate Ltd! Located on the corner of Batnrust Street and Olive Ave, our Brokerage welcomes new visitors and pets. When searching for Annex Homes For Sale, look no further than Freemanrealty.com and Freeman Real Estate Ltd. Whether you are looking to buy or sell Annex properties, let the FreemanTeam® help your family find the perfect ‘West Annex’ home. Contact the FreemanTeam® today!